I want to wish you all a very Merry Christmas! May all your holiday crafting be completed. Mine barely is. Usually, I imagine those of us who craft for gifts are in the same boat! I’ll be back after my insane holiday weekend with a proper post. Things have gotten away from due to things being really busy lately, but I know I owe you guys an honest-to-goodness post. Again, Merry Christmas and Happy Holidays! I recently have been doing a lot of work over at my Shop Lancaster store, and decided to have a little sale for the month of October. If you use the code FALLFUN20 at https://shoplancaster.net/store/rock-star-knitting/, you will receive 20 percent off. How cool is that?! 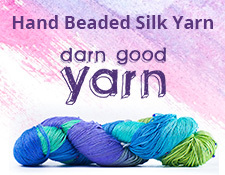 This excludes the Mystery Scarf Sale, but the offer is good until October 31, 2015. Remember, it’s getting chilly, but there’s still time to play outside. Bundle up! As for other things that have been happening, craft-wise, I really haven’t had much time for things craft-wise. I did put a few entries into The Craftys, and am knitting when I have the chance, but my efforts have been focused on a hoop dance performance I am participating in tomorrow. (Which you should totally come out for. It’s free!) When that’s done tomorrow, I hope to have some more time to knit and watch hockey. I’m still working on my Purple Socks, but I have taken a small break from them to knit a hat, which I am is still in process, but I unfortunately do not have any photos of at this time. Other things? I’m reading The Martian by Andy Weir. It’s fantastic. I am about 35 percent through it, according to my Kindle. So, that’s about that for now. Have a great weekend! I’ve been doing this blogging thing for quite a while with varying degrees of success. The previous incarnation of Rock Star Knitting wasn’t working. It was time for a change. It was past time for a fresh start. So, I’ve wiped the slate clean, to add to the cliches. Now that that’s been said, keep an eye out here as I build up a new site to share with your. I love this type of thing, so check back often for many fun things.